Cap may seem like just a really good fighter with an impenetrable shield, but he has a number of different tools at his disposal – both technological and biological. 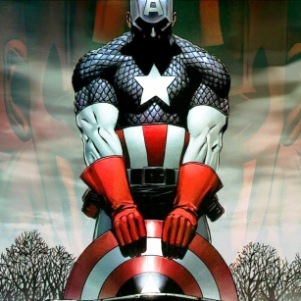 When Steve Rogers got injected with the Super Soldier Serum and became Captain America, we all know that he became bigger, stronger, and tougher. It turned a sickly Steve into the perfect human specimen, just like that. 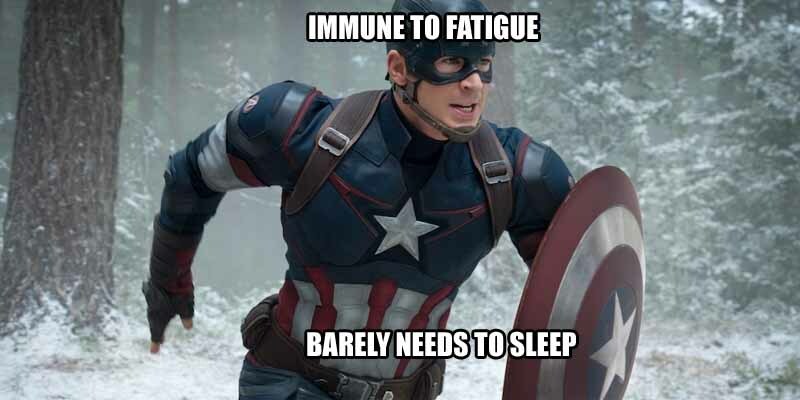 But a cool side-effect of the Serum isn’t just that it made Rogers big and strong, but that it helps keep his superhuman body from getting tired and worn out; because even the most “perfect” human specimen gets tired every once in a while. And that’s why Captain America is different.